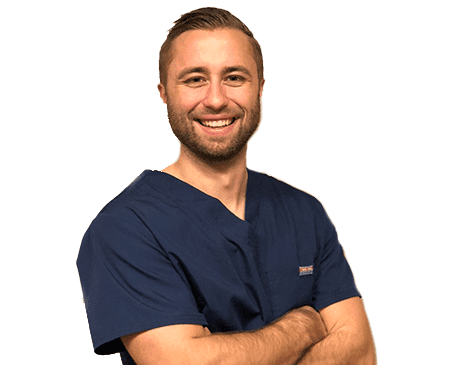 Brandon Coveney, DPT, is a physical therapist with training in orthopedics, acute care, and subacute care. He offers the most up-to-date and effective treatment procedures, based on clinical research, to patients at Total Health Physical Medicine & Rehabilitation Center in Florham Park, New Jersey. Dr. Coveney draws on a range of therapeutic techniques to create individualized care plans. He performs rigorous evaluations, including physical exams and gait analysis, to tailor physical therapy to meet the specific needs of patients of all ages and athletic ability. After he received his bachelor’s degree in biology from Montclair State University in Montclair, New Jersey, Dr. Coveney headed to Fairfield, Connecticut. There, he completed his doctorate in physical therapy at Sacred Heart University. In his free time, Dr. Coveney enjoys working on DIY projects, hitting the gym, and playing in various sports leagues. He is an avid sports fan, and his favorite team is the Pittsburgh Steelers. Dr. Coveney lives in South Plainfield, New Jersey, with his fiancée (another DPT) in a new home that they are renovating together.